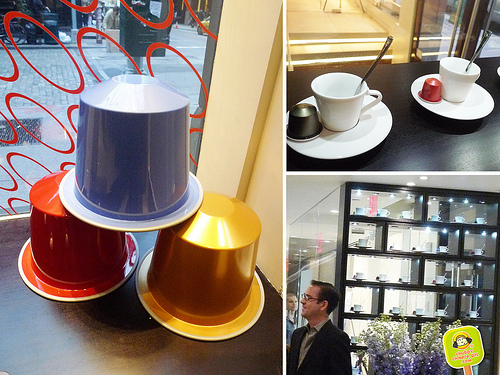 As a food blogger I get invited to a variety of events, not all of them turn out to be worth my time, but this last Nespresso private media event at their Soho Boutique was an awesome one. As we walked into the beautiful boutique, coffee inspired sparkling drinks greeted us, while the aromas of coffee danced around the room. Yummy hors d’oeuvres were generously passed around as we mingled, explored the chic space and learned about their products. All java inspired of course. 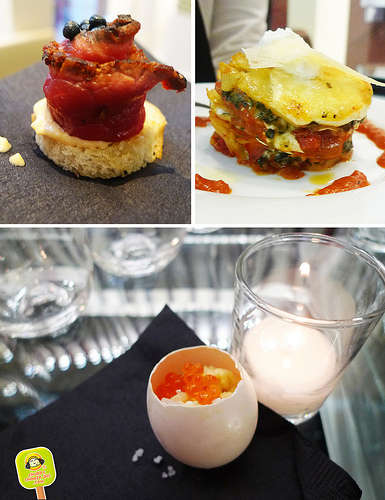 Loved that egg and caviar! 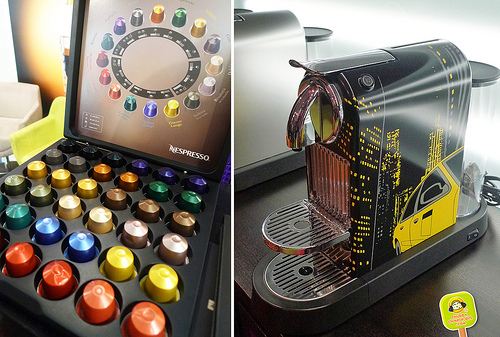 We previewed the new Nespresso Pixie Machine, a smaller version that’s perfect for the size of your average New York kitchen. I’ve never been feed this well at a product press event. Usually pass around hors d’oeuvres means I need to get dinner later, but they really made sure everyone was taken care of. Flavors were good and everything was fresh. 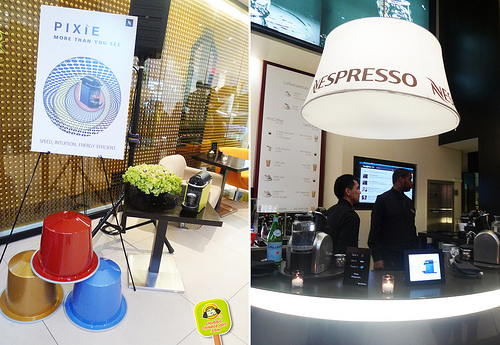 The eating and drinking continued… Ted Allen talked about his love for expresso and Nespresso. Afterwards, I got a chance to introduce myself and chit chat about his show Chopped, new eateries around town and of course I gave this blog a plug (shamelessly passed him a card). He was so sweet and down to earth. In between chit chats, I managed to get a Mocha (thumbs up) and wait for Pixie Lott to perform, anticipating my favorite song, one rich, deep and chocolaty sip at a time. In case you’re wondering (like I was), Nespresso didn’t partner up with Pixie Lott in one of those celebrity/product marketing strategies. The Pixie name was already established and from there, having her perform at the event just made sense. How perfect! Her voice is soothing and relaxed, just like the way I enjoy a good cup of coffee. Her version of Somebody was on repeat for days, her voice is amazingly sweet. (Sorry, my video was cut off, but I ran out of memory… yeah, typical *rolling eyes*). 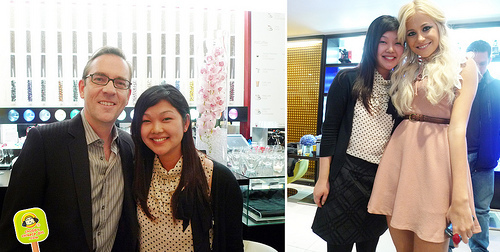 A shout out to Ted Allen, one of my favorite tv foodies, you’re awesome in person! 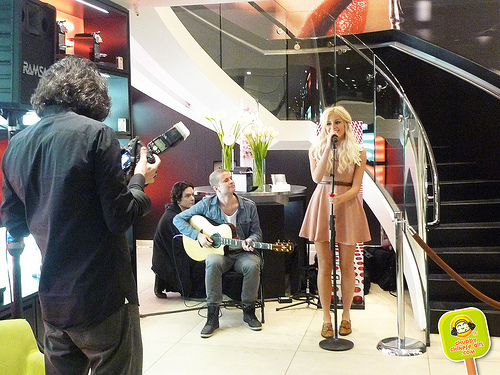 And I’m not sure why I was standing so close to Pixie Lott, but isn’t she so cute? All our senses were entertained throughout the night. 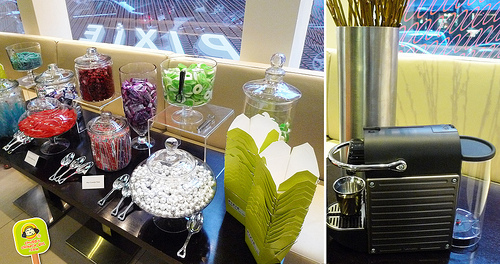 Aside from all the sweets and goodie bag they prepared for us, we were all given a complimentary Pixie Machine! How lucky are we!? 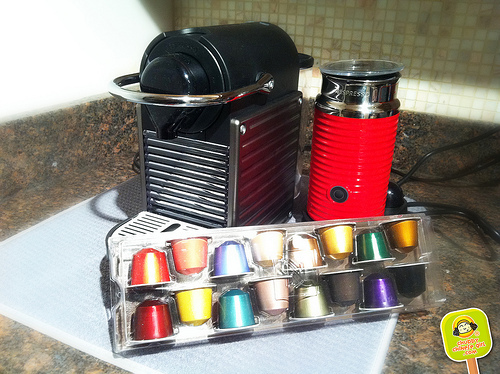 Finally got my Nespresso Pixie at home! 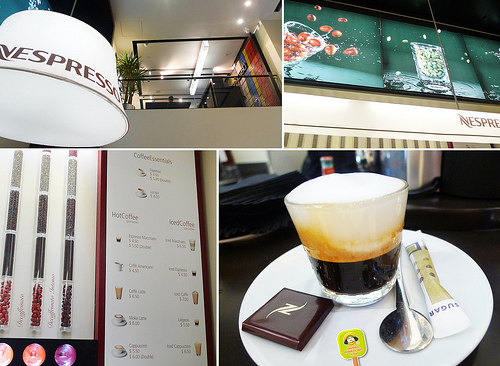 Thanks again Nespresso for the gift of expresso/latte/mocha/cappuchino anytime I fancy! Love it. 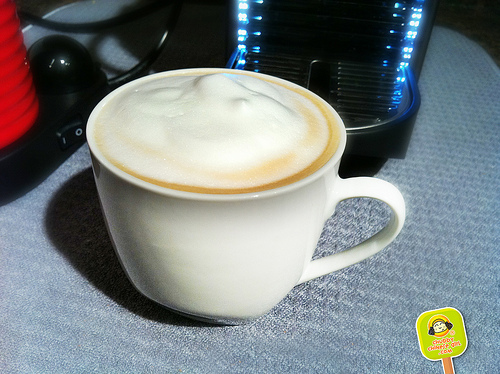 Because I love my lattes so much, I also purchased an Aeroccino (milk frother) for my Pixie. It was early in the morning, I sound sleepy and out of it, but hey! it was before my morning latte. It’s a lovely space to sit in either solo or with a friend. 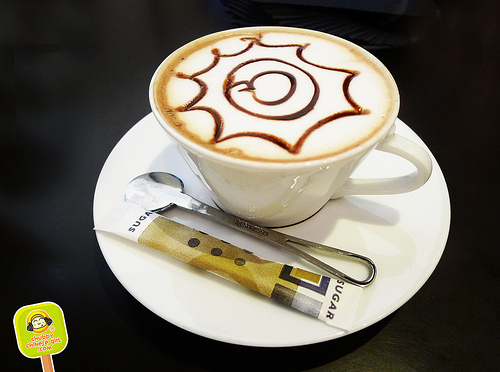 Maybe for a lazy and chill breakfast or an afternoon break in between all the shopping. 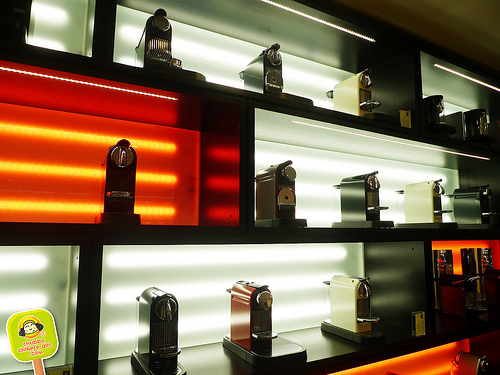 You can also head upstairs and shop all things Nespresso. The addy is 92 Prince St. Wow!!! I can't believe you got a Pixie! That's so awesome! It's a well-organized event with generous serving of hors d'oeuvres.